The exotic spice in dining sometimes can be history, which can be hard to find in a state as young, frantic and vacation-driven as Florida. 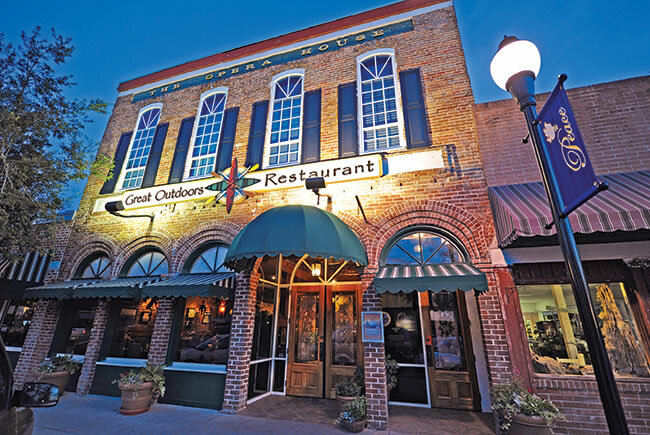 Still, there are plenty of locales throughout the state where heritage is part of the menu. 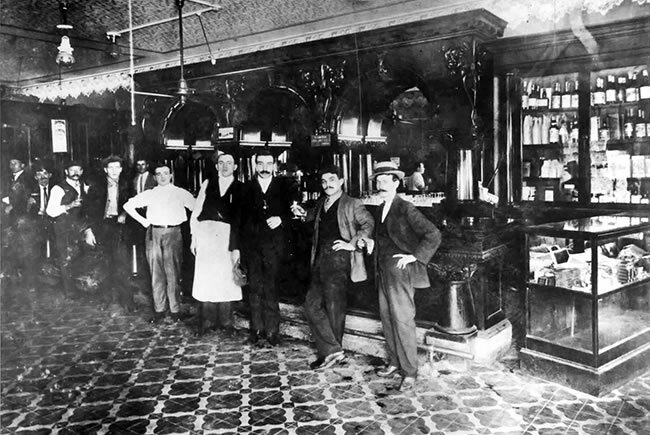 The small room on the corner of La Septima with its big bar and old wooden booths is where the 1905 restaurant served its first bean soups and Cuban sandwiches to cigar workers long before it became a gilded palace. Look for the hand-painted tale of Don Quijote retold on thousands of tiles throughout the restaurant. Next, the Gonzmart family will open Ulele, named for a Timucuan maiden, serving Florida food in a century-old waterworks building. The ’20s brought Henry Ford and his automobiles to Florida, especially here. The Garage in the Dean Park historic district celebrates Model T’s and mechanics. Burgers are prime, beers craft and the automobilia vintage. The tycoon’s grander winter estate (along with his pal Edison’s) are a few minutes away from the downtown location. Founded in 1971, Louie’s has a big place in gourmet history and beach lore for the likes of veal chops and wild mushrooms and pork belly pizza. It’s on the National Register for the preservation of a landmark Victorian on the waterfront. Say hello to Ernie, Harry and Capt. Tony while you’re there. The Biltmore is a 1926 masterpiece of Florida’s fantasy-hotel era. It sits amid the even grander dream plan of George Merrick’s ornate City Beautiful. 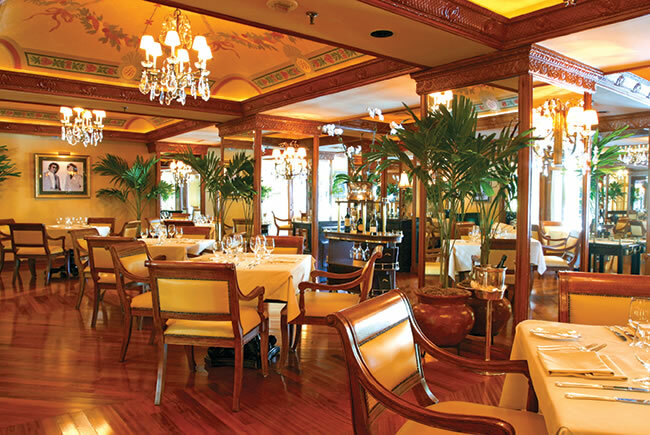 Tour the Gables, then dine on Gatsby-esque sea urchin, foie gras and Kobe beef at the Palme d’Or or more rustic salumi, squid ink ravioli and wood-oven octopus in Fontana, both under smart new chefs, French and Italian respectively. Cotton, not oysters, was the first big export here and lured European traders and diplomats before the Civil War. Today, you can eat seafood an 1800s environment near the old riverfront in a wood-frame building with restaurant wine room, gourmet shop and Tap Room nearby. Little High Springs had an opera house more than a century before the hikers and tubers arrived. 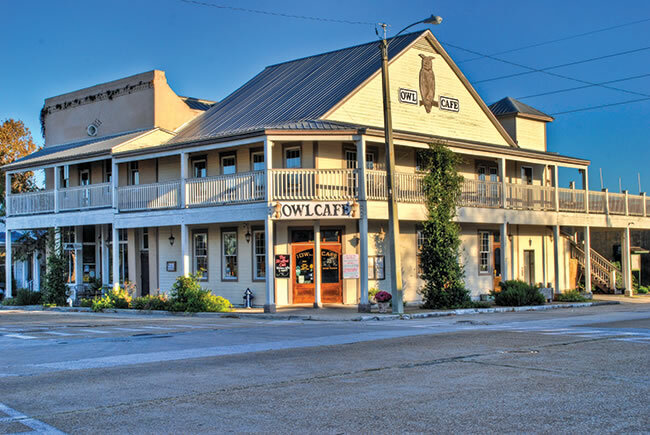 In 1895, the town was a busy hub of phosphate mining and railroads. 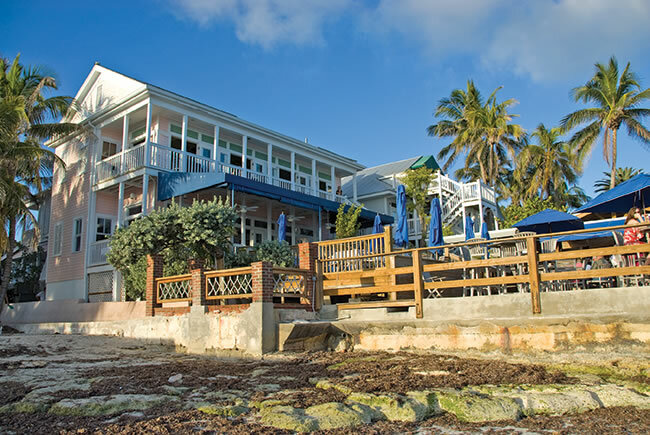 Today, you can dine and drink while appreciating the 19th century’s industry or nature’s tranquility. The building dates from the 1860s and sits on Plaza Ferdinand, where young Old Hickory took Florida from Spain in 1821. The menu, however, is 21st century steaks, game and seafood, with uptown grits, fried green tomatoes and shiitakes. Beloved for Black Bottom burgers and chocolate pusalow fountain drinks, the dining predates "Happy Days" by decades. Housed in a real dining car, maybe the first conversion, it sits near the St. Johns River at a once-busy crossroads, steamboat port and railroad junction. Michele Testa arrived shortly after Flagler and set up a soda fountain in 1921 for the first swells. 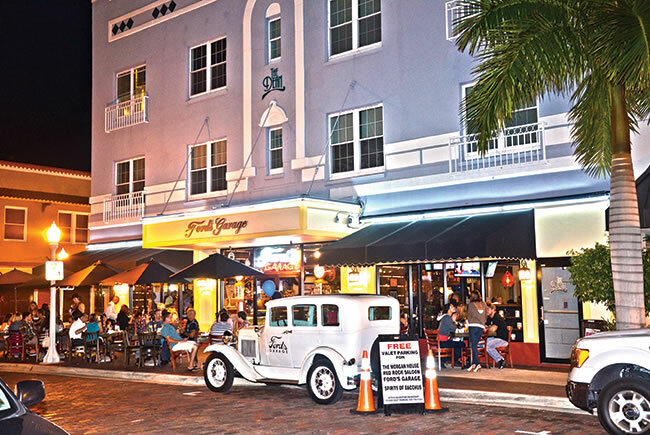 Since 1946, Testa’s has been a fixture on Royal Poinciana Way and still serves strawberry pie as well as eggs and waffles, steak sandwiches, lobster and pasta as a break from the Breakers. A few blocks away, Green’s Pharmacy has a lunch counter almost as old. Said to be Miami’s oldest bar, this tiny green stucco storefront between the river and Tamiami Trail has been a late-night hot spot for a century. Evolving from speakeasy to gay bar, package store and rackets joint, it has new pride and buzz as a modern dive with chili, hummus and burgers with a score of toppings. Plus a trip though Miami’s not-so-sunny past. This was not the first German colony in Florida, just part of an old commercial brickscape on waterfront that has new vigor and a helping of gemütlichkeit. 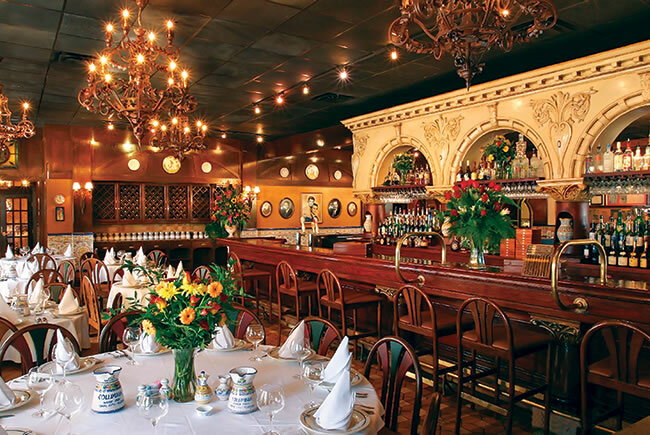 Hollerbach’s has wurst, potato pancakes, sauerbraten and beer, adding European gusto to a vintage American downtown. 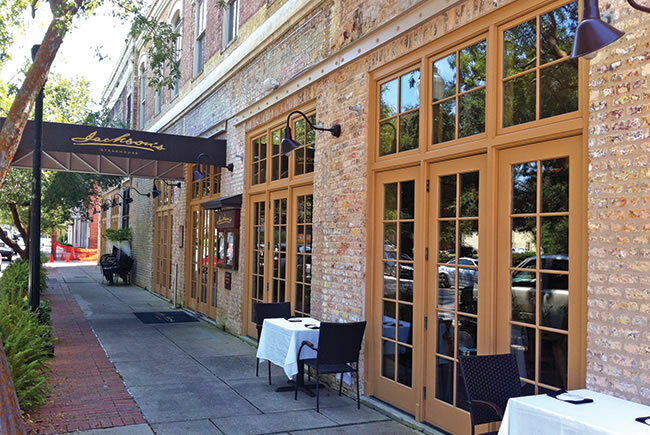 The cooking is contemporary, Creole and Continental, while the 1872 Thompson House is Victorian and in the heart of a great historic district. Walk Centre Street to the water and enjoy what developers once envisioned as "the Manhattan of the South."